San Francisco–December 20, 2017–Booming Games opened registration today for the upcoming beta test for Conqueror’s Blade, the highly anticipated PC “world” sandbox medieval warfare game. 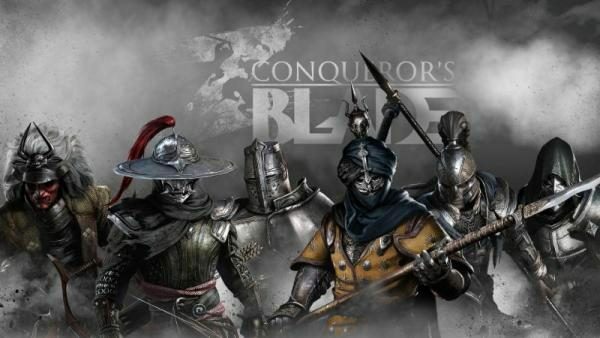 Conqueror’s Blade recreates vast medieval civilizations and showcases their legendary weapons and fighting styles in a massive, immersive arena of war where players team up to command powerful armies in the pursuit of territory and glory. To pre-register for the beta, players simply go to conquerorsblade.com and click the pop-up “Apply for Beta Test” button on the sidebar, which takes them to the form where they must answer 4 questions and enter their email address. If they are selected, the developers will inform them via email. Are you brave and skilled enough to answer the call to glory? The ultimate goal of Conqueror’s Blade is to conquer the world. To this end, players will wage war against other players in solo and team battles to earn resources and improve their forces. The game is designed to replicate the brutal experience of an ancient medieval battlefield. Each player is a general commanding a legion comprised of dozens of troops, and up to 1,000 troops can battle onscreen simultaneously. Players control their general to defeat enemy legions, and coordinate with generals from friendly forces. Field equipment such as cannons or ballistae can also be controlled by the player in battle. Outside of battle, the world of Conqueror’s Blade is comprised of cities and resources. The world provides all the resources players will need to upgrade, like materials to produce a legion. To obtain resources, players must occupy the cities and villages where they are located and defend them, so competition to conquer these areas forms the primary goal for players in the game. For more information, visit the Conqueror’s Blade website at www.conquerorsblade.com or on Facebook at https://www.facebook.com/ConquerorsBlade/.